Ichabod Spencer, affectionately regarded by many as “The Bunyan of Brooklyn” has become a spiritual hero of mine for more than a few reasons. For starters, he’s from Brooklyn. Fuhgeddaboudit! In fact, his former church is located on the corners of two streets that my family called home for many years (Remsen and Clinton). Little did I know that I was walking on the very pavement that this faithful herald of the Gospel also once traveled. 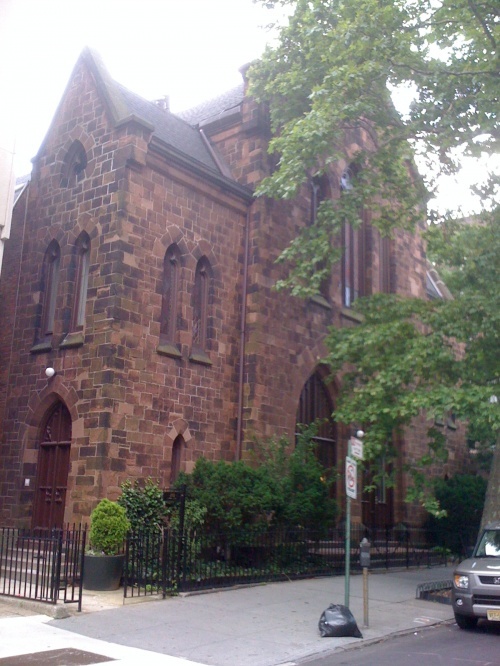 Sadly the church has since been converted to condos. 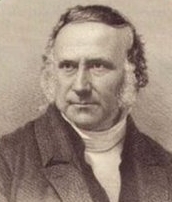 Spencer upheld and preached the doctrines of grace. Otherwise known as Calvinism, these doctrines teach that every aspect of salvation is from the Lord, and ultimately for His glory. These precious doctrines are woven throughout each page of the Bible — from Genesis to Revelation. Spencer is but one of many in a long succession of godly men who knew the life changing power of these glorious truths and was not ashamed to proclaim it. Ichabod Spencer was a caring shepherd with a broken heart. Despite constant bouts with sickness and pain, he made approximately 700 home visits per year. He was the kind of pastor who was not afraid to enter the messy lives of the sheep. He labored, with all his strength, not for a great name or a great ministry but that Christ would be formed in the souls entrusted to his care. Would to God that there were more shepherds like this. Although his brilliant mind and powerful preaching could have opened many opportunities to travel and speak, he was known to decline (except in rare instances) most of the invitations he received. This is probably why his name is not as well-known as some of his contemporaries. Instead Spencer sought to serve God faithfully in the very place God put him. 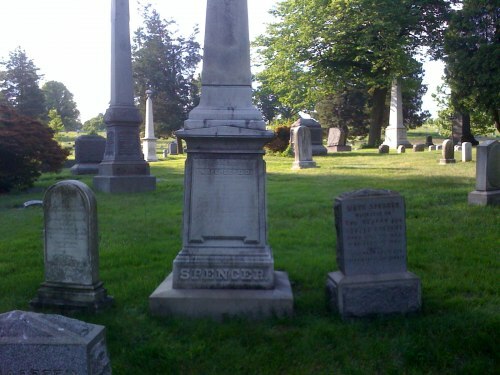 Lastly, Ichabod Spencer is buried in Brooklyn’s historic Greenwood Cemetery alongside some pretty famous people…not the least of which is my grandma! Well, what can I say? She’s famous in my book! With all of that said, I never tire of reading the works of Ichabod Spencer. How evident it is that he gloried in nothing but the cross of Christ! Oh, how the church needs this kind of preaching today. “Is it not true that some of you, who at times attempt to seek God, have very little idea of encountering difficulty? Do you not stop and turn back when some unwelcome doctrine, opposed to pride, or some severe duty opposed to carnality, meets you? You can never become Christians in this way. You may be deceived, but you can not be saved! If you think to get to heaven without trouble, you are mistaken! It will cost you many a struggle! That depraved heart will bleed before it will relinquish sin! It must break before it will be bound up and healed by the balm of Gilead! “In Scripture times believers found difficulties. Temptations assailed them, hard to overcome. Their eye was cheered with nothing in this world. They were only comforted by the promises, and promises which they could not inherit till they were dead and gone! And has religion changed its nature-or the heart its sin-or Heaven its mercy?…But if you are enduring temptation, take the consolation of the promise. You shall not endure in vain. The day dawneth. Its light breaks upon your eye afar off. It shall light your pilgrim steps till it has lighted you down into the sepulcher-nor be extinguished there! It shall brighten up the dark valley-for the grave is Christ’s. Fear not, then. If you do love God and live upon His promises, and by doing so, are held above the world and enabled to endure temptation, go on – go and prosper – go, mortify the flesh – go, resist the devil – go, vanquish the world – go,endure temptation, and, when you are tried, go and receive the crown of life which the Lord hath promised to them that love him. The Bunyan of Brooklyn: The life and Practical Sermons of Ichabod Spencer by Rev. J. M. Sherwood, Solid Ground Christian Books, (Vestavia Hills, AL), 2003, pages 214-215. Wonderful post Christina! I loved reading this story of a saint who has gone before. Isn’t it wonderful that right around us there were and are godly men and women who are carrying on in the faith? It is a blessing to read this and an encouragement to me today. Yes…I do wish more pastors had a heart like this! Our pastor is a godly man who loves the Lord and preaches the Gospel. I am thankful for his shepherding in our congregation. We all need to encourage our pastors as their task is not easy in this day and age. Blessings to you dear sister. Thank you for sharing! Thanks for sharing this, Christina, and the words of this faithful brother. Very encouraging! WOWSA! (That’s all the Brookly-eese I got) This is fantastic! 700 home visits a year?!?! More like The Baxter of Brooklyn! I just added this book to my Half.com wishlist! Thank you for the great recommendation! And – (and this is the most precious thing) This is the EXACT encouragement me and my wife need just moments before I read your post! Sending her the link now! the Lord is so good!!! !